Now operated by a local family with friendly on-site management dedicated to the finest delivery of hospitality for our guests, Starlight Lodge is the latest iteration of a property that has welcomed friends and family for generations! The recent up-dates include refreshed rooms with elegant modern appointments and comfy beds, elegant spacious new suites (some with kitchenettes! ), Standard, Double, Queen canopy, and King bed room types--something for everyone, the delightful cauldron fire-pit gathering place for evening pleasantries that feels like "home", and a beautiful new lobby with morning coffee dispensed with smiles! Let our family serve yours in modern comfort with relaxing old world charm that is your steal away home on the Cape! Starlight Lodge calls. 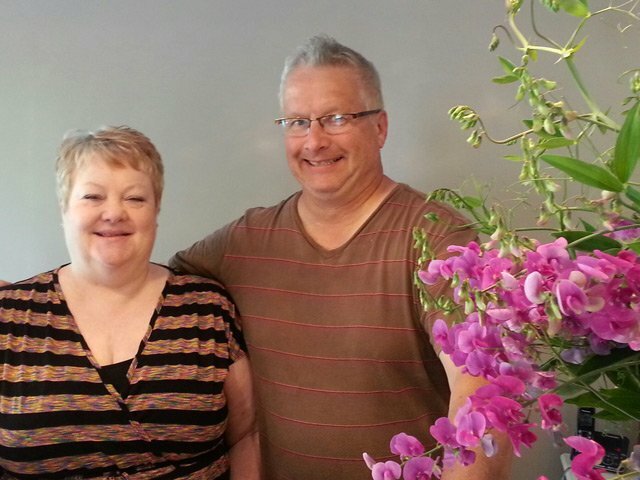 In 2016, the family looked no further than Karen and Ron Gillespie for live in Innkeepers! The Gillespies have been working together in hospitality management for over 30 years and while originally hailing from the midwest, they've rooted in Cape Cod for the next chapter of a wonderful life together. And after years running their own catering and restaurant business, they have turned their attention full time to Inns and hotels though Karen is still an awesome cook! So say, "hello!" to the Gillespies when you come visit--their friendly and kind demeanor is winning fast friends in Cape Cod where they welcome all with smiles and big hearts!